Desktop apps on Windows are traditionally distributed as exe files which are app packages, most of the times with their own installers. Once you run the executable file, the installation wizard requires you to check a few options and click a few things. This is in contrast to how apps are installed on macOS or Linux where you can simply click on the Install button and everything is automatically done. The Windows way is cumbersome. But it does give users the option to choose where they want a certain app to be installed. 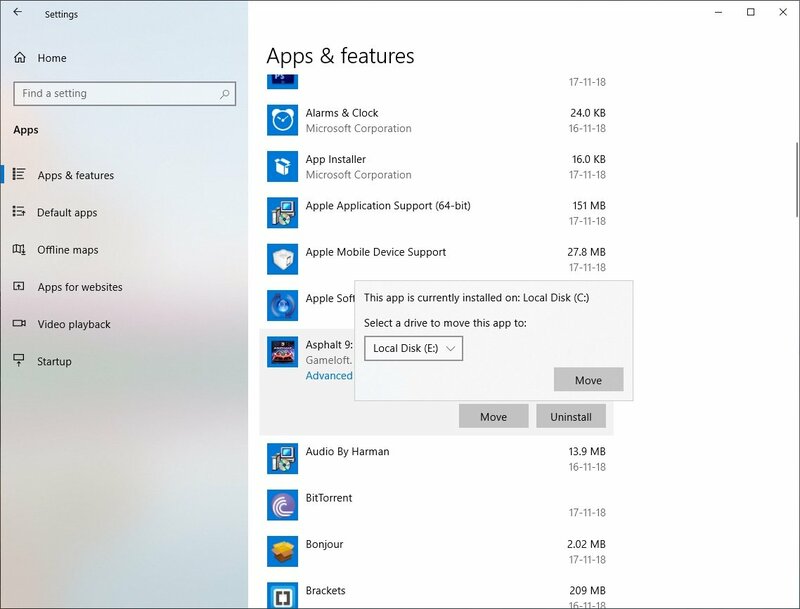 When you install apps from the Microsoft Store on Windows 10, you don’t get that choice. 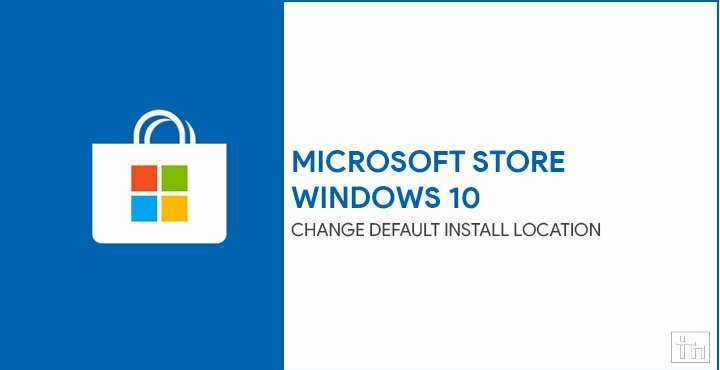 Windows does allow you to change the default location where apps from the store are installed. 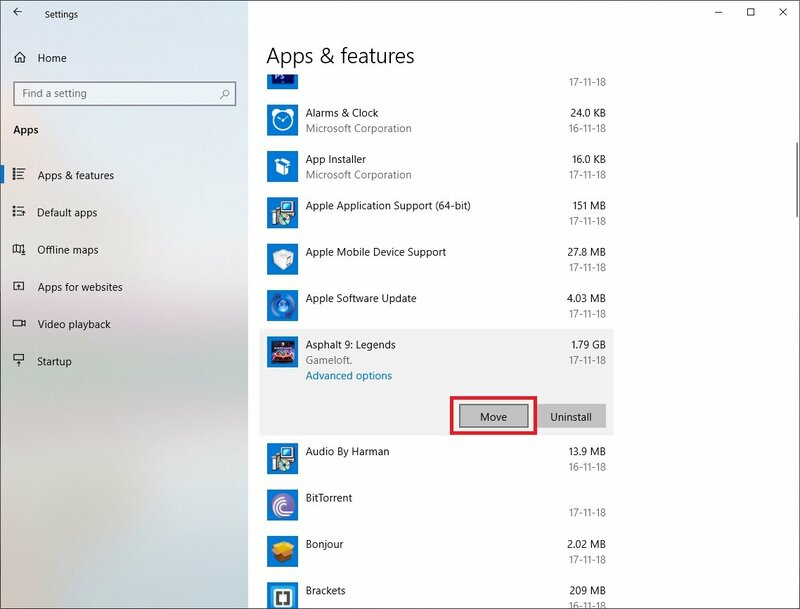 By default, apps from the Microsoft Store are installed in the program files folder in the C: drive like other apps. Specifically, inside a hidden folder named WindowsApps (C:\Program Files\WindowsApps). Some store apps can’t be installed on a non-system drive though and those will still get installed on the C: drive. However, most apps can be installed or even moved to a non-system drive. This can be really helpful if your system drive is filling up fast. Go to the Settings app and navigate to System > Storage. 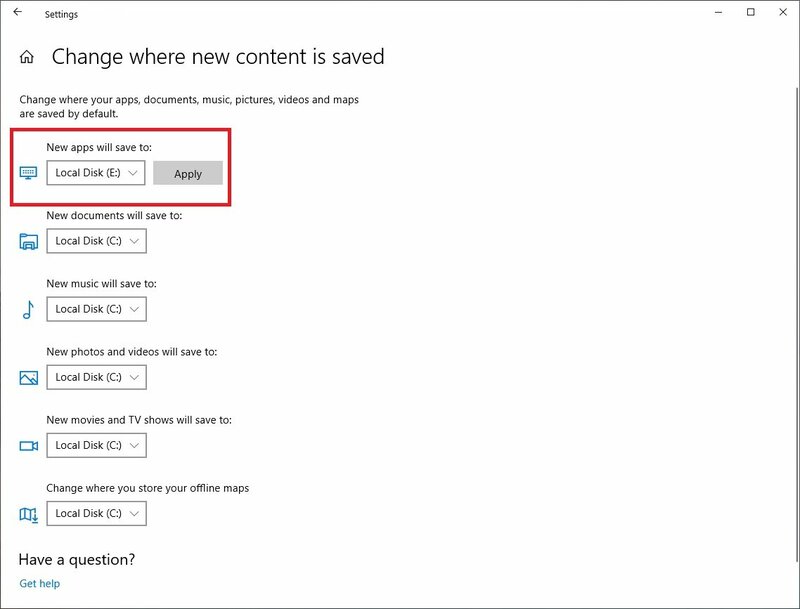 Under the More Storage Settings heading click on the link that says Change where new content is saved. 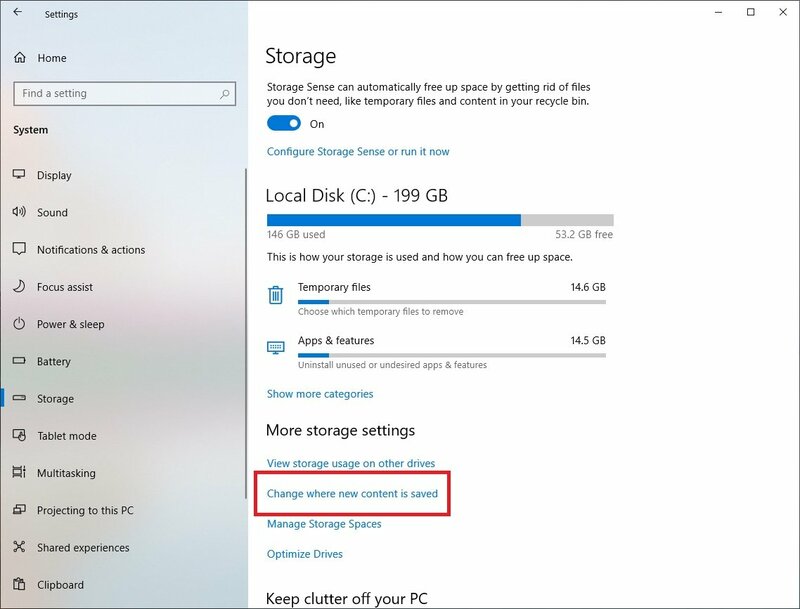 Click on the drop-down menu under New apps will save to and select the drive where you would like new apps from the Microsoft Store to be installed. Click Apply to bring the changes to effect. While you’re here, you may also want to change the default download location for other content. The available choices are for Documents, Pictures, Music, Videos, Maps, etc. This will not move the currently installed apps. 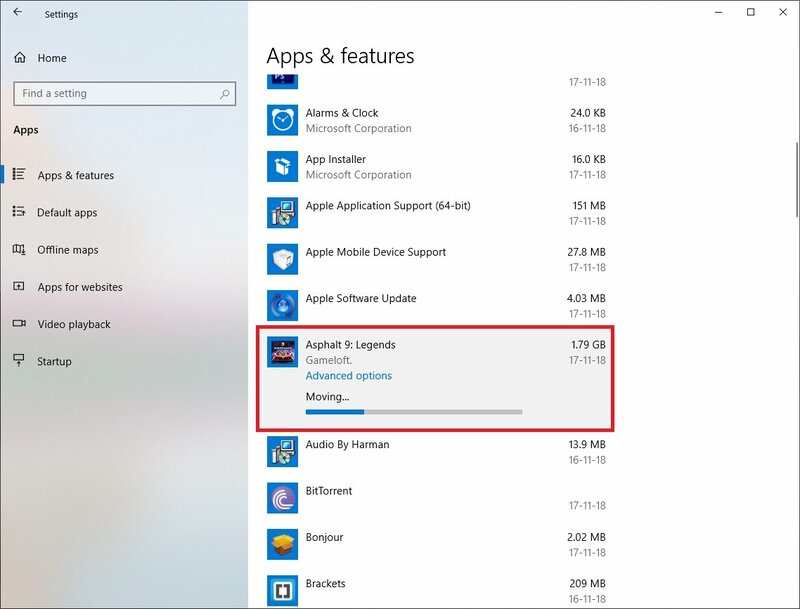 But any new apps that you install from the Microsoft Store will be installed in the new location. The OS will create a hidden WindowsApps folder in the root of the selected drive. All your new apps will be installed inside this folder. Launch the Settings app and go to Apps > Apps & features. Select an app by clicking on it and if it supports installation on a non-system drive, you will see a Move button under it. Click on the Move button and select the drive where you want to move the app then click on the Move button again. Your app will be moved to the new location and you can see the progress via a progress bar underneath.